Sweet Americana Sweethearts: Medicine, We've Come a Long Way Baby! Quack. Humbug. Charlatan. Swindler. Trickster. Hi! Kit Morgan here and these words describe those unscrupulous fellows (and not to mention a few women) who plied their tonics, potions, and pills on the unsuspecting public, and succeeded too. How? By playing on people's fear of death and sickness. Unfortunately, their wares didn't work. Worse, they could hurt a body, even kill them. Aren't you glad you live in the 21st century? But back in the "good old days" things were done differently and often painfully. Got a crying baby? 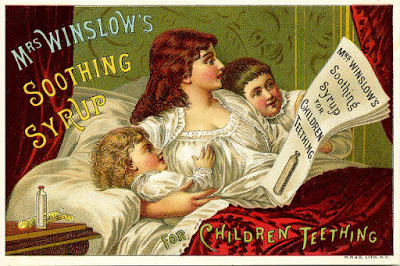 Why not reach for Mrs. Winslow's Soothing Syrup. There was also Godfrey's Cordial, Jayne's Carminative Balsam, or Daffy's Elixir, (which naturally makes me wonder, how daffy do you get taking Daffy's Elixer?). All of these contained morphine or opium and all put that baby right to sleep. Unfortunately, some didn't wake up. 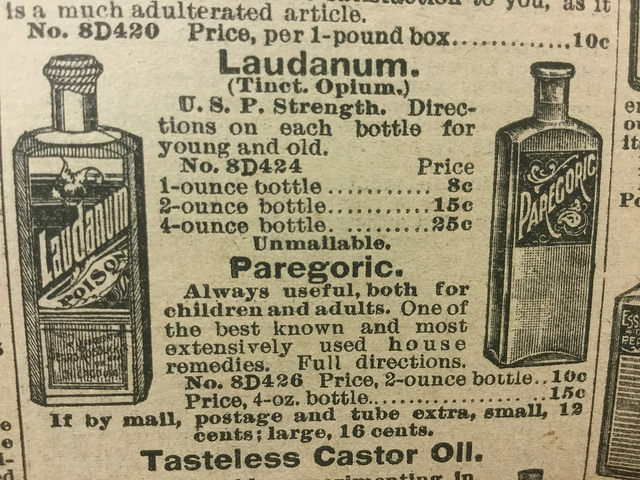 When opium got an upgrade, it became Laudanum. Those of us who write historicals have had our characters taking this on occasion. Heavens, if there was anything else we could give our characters to get them well, we would! But, there's only so many things one can do in a time period. 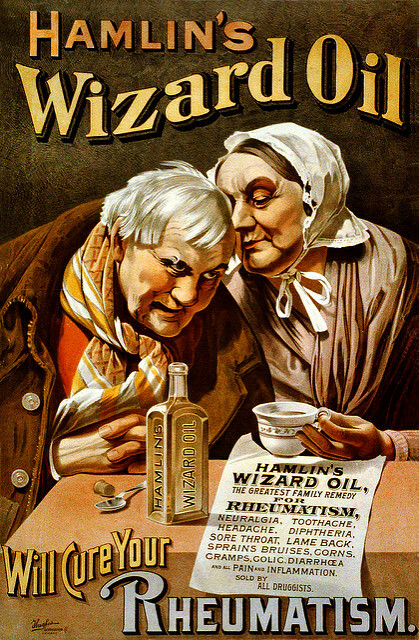 While opium might have started wars in the East, Laudanum, the liquid version, that took a larger toll in the West. Even though they weren't as potent as straight opium, this derivative medicine packed a punch and tasted better. The addition of alcohol only intensified the euphoric and mind-altering effects. 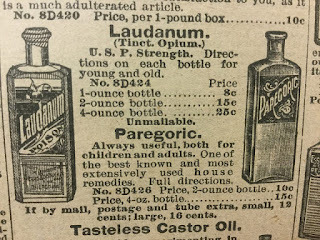 Laudanum was touted by most physicians, obtainable without a prescription and could be taken in the comfort of one's home, no opium den required. And guess what happened then? The dark shadow of addiction followed. In the nineteenth century, bleeding, purging, leeching, and enemas were still all the rage, (ew!) but in morphine, doctors found something much gentler. Together with opium, it would occupy materia medica tests forever after, recommended for obvious ailments like pain and diarrhea. By the way, Cholera and dysentery killed far fewer people, thanks to opium, so there is that, but, the medicines were also thrown at people for anything that ailed them. Snake bites, rabies, tetanus, ulcers, diabetes, (are you cringing yet?) poisoning, depression, and other mental illnesses. All said to be "cured" by these wonderments. Huge amounts of opium and morphine were used during the Civil War, where they helped with dysentery and terrible battlefield wounds. Unfortunately, they also created addicts. So many, in fact, that opiate addiction was dubbed "soldier's disease" or "army disease" at the time. It is recorded that Union surgeon Major Nathan Mayer would pour morphine doses into his gloved hand and let soldiers lick it off. In the 1850's, just when we thought opium had reached its most potent, accessible form, Alexander Wood invented the modern hypodermic syringe. Injected morphine was stronger and required a much smaller dose. By the 1880's, Wood's invention brought on new creations: morphinomania and morphinism, terms for morphine addiction. The syringe, though a miracle for medicine of the time, also became a vehicle for a dark disease we still battle today. you're in the 1800's instead. What sort of quackery would you be resorting to in order to get well? My latest book, Daphne, An Easter Bride has a character, Jasper who sufferes a bad cough. I had the town doctor give him laudanum for it. Jasper is an older chap who likes his whiskey and women. Jasper could partake of niether while taking his laudanum. It knocked him out! After researching through my library and reading more about the stuff, I can see why! You'll be happy to know, that Jasper suffered no ill effects from the stuff, and was back to his old self after a few days of bed rest. Ah, to be a minor character! Good thing I didn't give it to my hero. He might never have had the chance to fall in love with the heroine! loved this article. I can't imagine giving a baby a syrup made with narcotics. Hurrah for modern medicine.